Chicago, IL – January 11, 2017. STEM-inspired card game where players race to build robots. scientists trying to stop you. robots,” said RobotLab co-creator and XYZ Game Labs CEO Adam McCrimmon. XYZ Game Labs is a board game designer and publisher based in Chicago, IL. foray into the board game market. 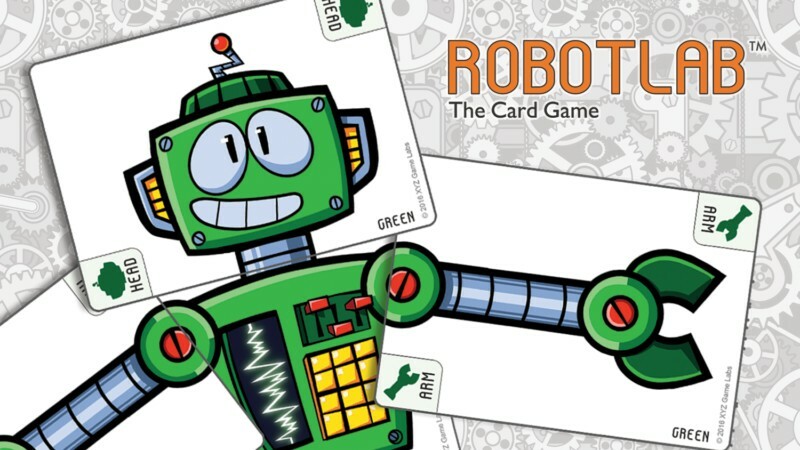 RobotLab: The Card Game is a trademark of XYZ Game Labs, Inc.
Dieser Eintrag wurde veröffentlicht in Crowdfunding, English, Fun, General und verschlagwortet mit Card Game, Kickstarter, RobotLab von Sebastian Trella. Permanenter Link zum Eintrag.